Elevate your game, elevate your comb. Simply put, Beartooths Comb Raising Kit 2.0 is the easiest and most effective way to build up height on your gunstock. Elevate your game, elevate your comb. Simply put, Beartooths Comb Raising Kit 2.0 is the easiest and most effective way to build up height on your gunstock. If your shotgun shooting accuracy suffers due to improper gun fit or you need help getting up to the cross-hairs on your rifles high powered scope, you have found the solution. Building upon the success of our first generation the newly updated 2.0 version features an opening for built-in swivel stud access, improved construction, and trim around all raw edges for excellent style. The CRK includes a heavy-duty neoprene sleeve and (5) various sized hi-density foam inserts. Use just one, or a combination of cheek pad sizes to alleviate any ill-fitting situation. Achieve increases as little as 1/8 or up to 1.5. Vastly superior to other canvas cheek risers no straps or Velcro. 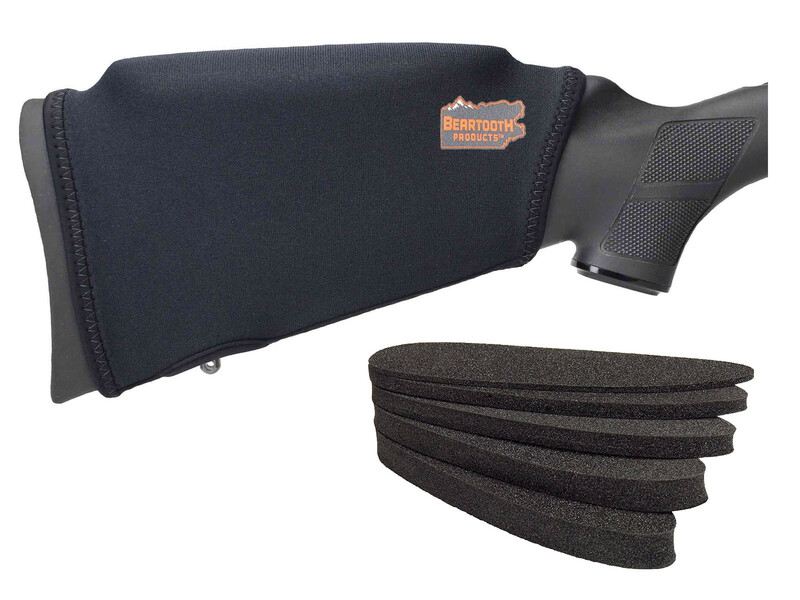 The Comb Raising Kit 2.0 offers the shooter the best in comfort and fit try one out today.